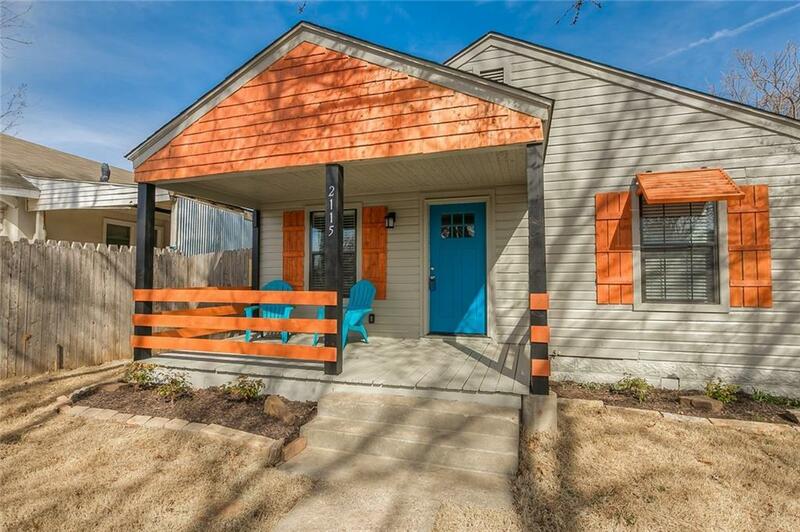 Super cute fully remodeled 1930's 2 Bed bungalow with a 3rd flex space for an additional bedroom or office. Conveniently located near the The Plaza District you'll have quick access to the amenities on 23rd, uptown, midtown and downtown. This open living room /kitchen open floor plan features brand new vinyl flooring, stainless steel appliances , granite countertops, lighting and hardware. New Roof, HVAC, Hot water tank, windows electrical, plumbing, lighting and faucets. Fresh paint inside and out with on-trend colors. Large backyard with a detached garage and an extra storage outbuilding.